by me and media artist Miska Knapek. It was held at the Media Centre Lume Gallery in University of Art & Design Helsinki in November 2009. Movement, traces, time, nature, space and environment are the common themes of our works. 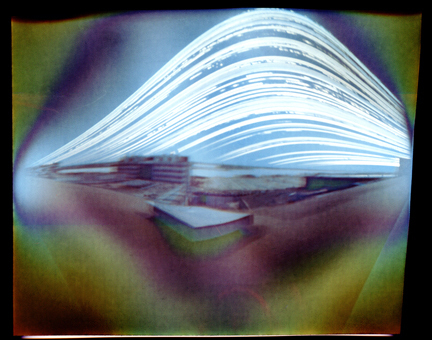 Solargraphs made by the simplest low-tech, together with contemporary high-tech works of the Wind. The wind´s movements are caught by meteorological sensors in central Helsinki and translated into visual two-dimensional or physical three dimensional form, through Miska´s self-written software. A new six months period will start on 21st, December 2009 until 22nd, June 201. I wish you Happy Solargraphing!